To help make your business and personal life simpler by making it easier for you to receive your mail and ship your packages throughout the world. By understanding our customers' needs and challenges, we can help you to do more while saving time and money. 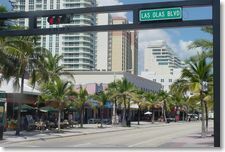 Our conveniently located Las Olas Blvd location in Fort Lauderdale, Florida offers local businesses and consumers a wide range of products and professional services all in one easy to find place. The Mailbag has been bringing a full array of mail and packaging services to South Florida for over 23 years. The Mailbag concept was introduced in 1980's as a convenient alternative to the post office. Throughout its evolution, it has continued to define and lead the business services category it created. The Mailbag remains locally owned and operated, and continue to offer a variety of shipping, postal and business services, with a convenient location and an excellent world-class service. Being one of the first mailbox stores in Ft. Lauderdale, we are recognized in our community for our expedited services of packaging and shipping services. 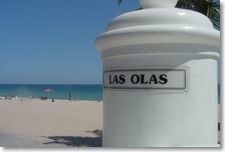 Is the local owner and operator of the Mailbag on Las Olas Blvd. 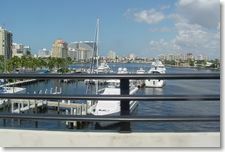 in Fort Lauderdale, Florida, is well-known for creative and original solutions to suit every client’s needs. The Mailbag has been bringing a full array of mail and packaging services to South Florida for over 25 years. As a concierge of sorts, the Mailbag is successful at finding difficult to locate items for you and ship them, to Captains at sea and also forward crew mail while at sea. They ship worldwide to anyone unable to locate products or parts on their continent. Your request is their quest! The Mailbag remains locally owned and operated, and continues to offer shipping, postal and business services, in a convenient location. 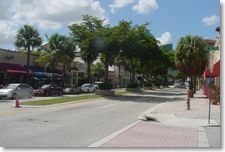 The Mailbag is located in the heart of downtown Fort Lauderdale and only one mile from the beach. Over 700 Rental Mail Boxes! This shipping store is one of the largest mail box rental stores in the USA with over 700 mailboxes. The Mailbag handles shipping and mailbox rentals from across town to all around the world. From Bangkok to Boca, from Miami to Madagascar the Mailbag has no limits! Dave and his professionals at the Mailbag know the best and most cost-efficient way to get your package where it needs to go. There is no shipping too big or too small to handle, from documents to furniture. The Mailbag will ship your fragile items and valuables with confidence that they will arrive in perfect condition.